Philip A. Nemecek concentrates his practice in commercial litigation, with an emphasis on insurance coverage disputes. 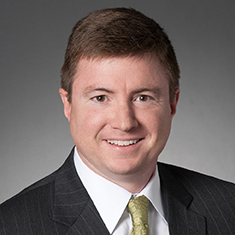 He handles complex coverage litigation involving multiple layers of insurance and joint defense teams, and has been involved in multiple litigations over liability and priority of insurance in automobile rental and lease situations, including briefing on these issues before the New York Court of Appeals. He regularly counsels clients regarding insurance, providing analysis of their existing coverage and evaluation of their prospective insurance needs. In addition to representing clients at trials, arbitrations and mediations, Philip appears frequently before state and federal appellate courts. Shown below is a selection of Philip’s engagements.